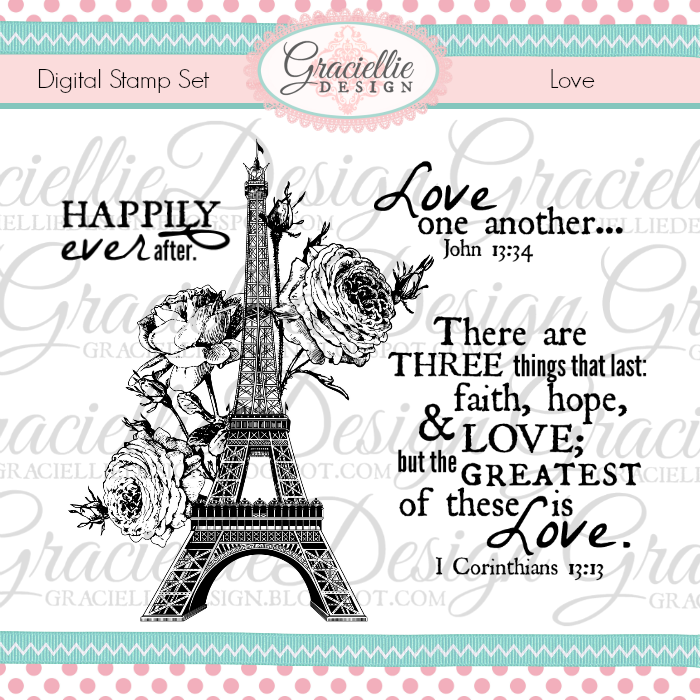 Digital stamps can be used in so many ways! Today I used an image from my new stamp set Hope to create a lace motif background for my card front and even a coordinating layer for the inside of the card. Update: You can edit this background using the online program PicMonkey (“add your own overlay”). You can also recolor and resize the background’s format on Microsoft Word. The classic background that resulted from duplicating the lace motif and editing it’s color guided me towards a vintage / shabby chic design in green, brown and touches of pink. 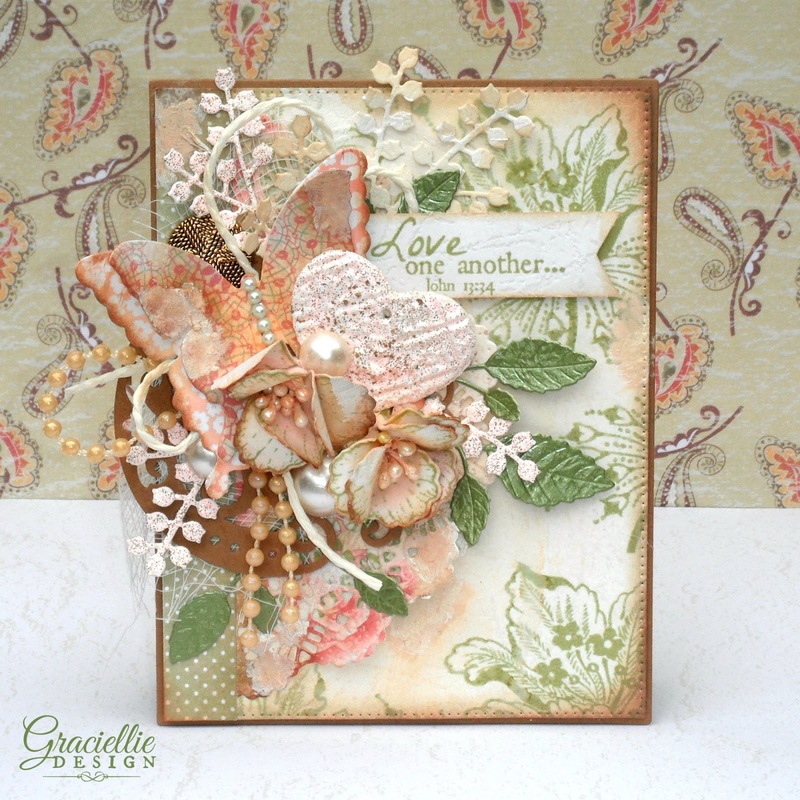 I created a cluster with flowers, butterflies and many different die cuts and embellishments to add dimension to the design. The printed verse stamp from the set Love -cut into a banner- finished the card so nicely, making it a perfect card for a friend not only on Valentine’s but on any occasion. That pretty heart embellishment was actually created from air dry clay that I cut with a heart shaped cookie cutter, then textured with a pattern stamp and finally heat embossed using some Frantage Embossing Enamel. Like I said in my last post there is virtually no limits when it comes to creating your own embellishments. If you want to learn a few of my go to techniques on embellishments and mixed media click here. 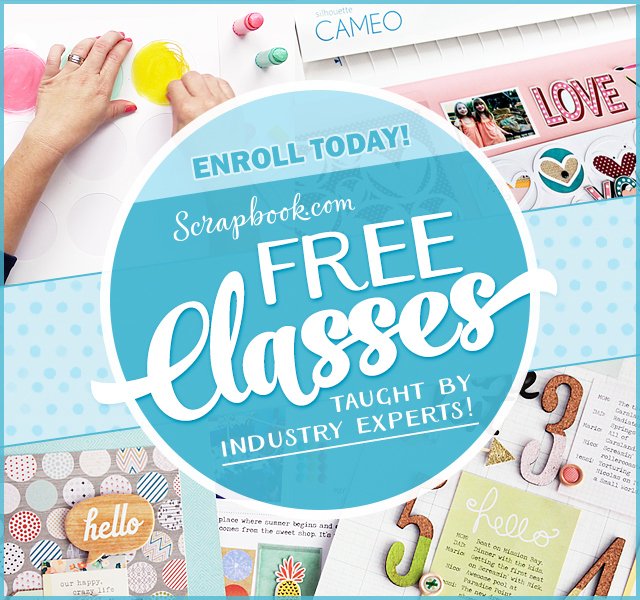 Do you craft your own embellishments? What do you love to make? Tell me in a comment below. To check out these and other new stamp sets click here. Don’t miss out! Subscribe to my blog and follow me on social media so you don’t miss any news, projects and giveaways. WOW! Another STUNNING creation Gracie! Your images/papers are magnificent and your design style is so elegant! GORGEOUS!! Thanks so much for joining in the fun at Double D Challenges! We hope you’ll come back often. Oh Gracie, my darling friend, this is breathtakingly beautiful! 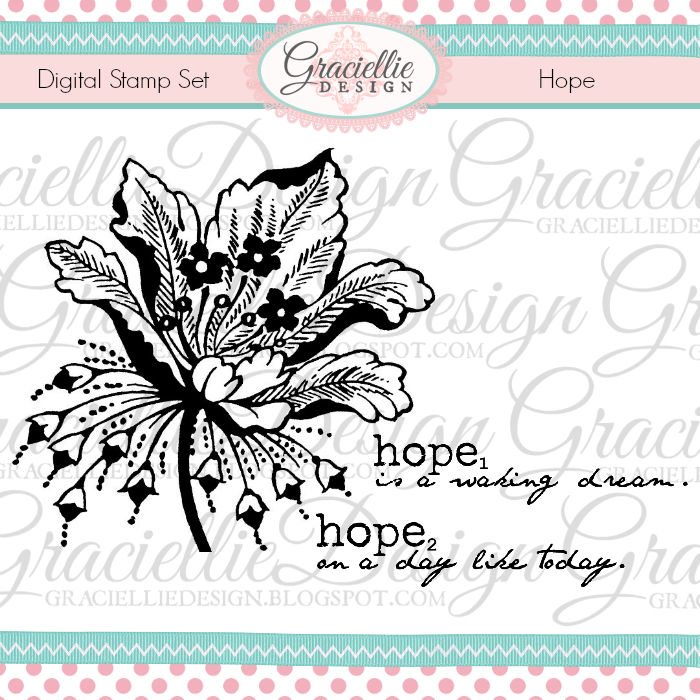 Not only are your stamps perfection, but I am so inspired by the ways in which you use them. The background is stunning and your design is sheer elegance. Stunning as always, sweet friend. Your work is a gift! :o) I love that we are frantage-heart twins today. Also, of course you can share my card with your stamp! 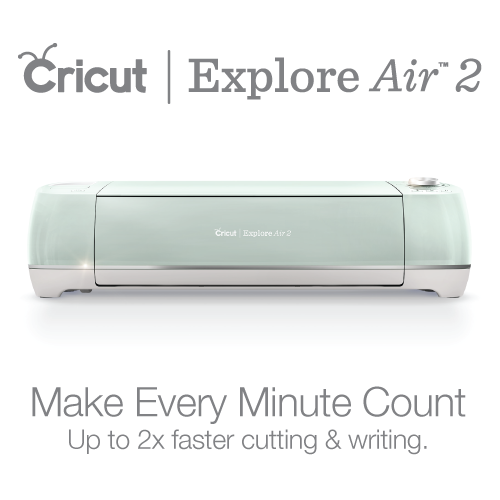 I loved using it and am excited to use more of your heartfelt creations. Wishing you a beautiful weekend, my treasured friend! What a stunning design, Gracie – I love the eclectic mix of embellishments and fab colour choice. Thanx for sharing with us at Cardz 4 Galz. This is stunning Gracie! Like how you changed the color of the image and your beautiful embellishing! Absolutely GORGEOUS! I am always amazed at every element you put on your creations, so perfect, so beautiful, they are all just works of ART…especially when you start with your own designs….how glorious!!! Thanks so much for playing along with us at The Mod Squad Challenge Donna, Challenge Host. 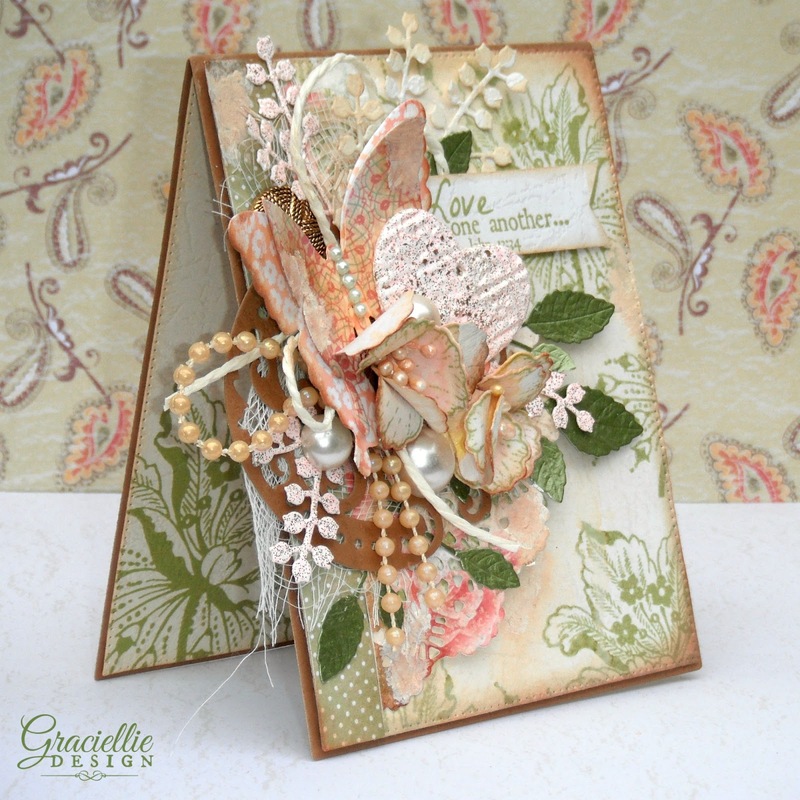 I'm back again to thank you for entering this GORGEOUS creation into our LOVE challenge at Dies R Us! Wow – this is so fabulous! I adore the clustering of your embellies! Thanks for joining in at the DD! Gorgeous card, Gracie! I love when you show up for my comments at Dies R Us! There are so many wonderful details and texture. Thanks for joining the Dies R Us February, “Love” Challenge. This is absolutely breathtaking!! The cluster of embellishments are perfect, very eyecatching, without being overpowering 🙂 Thanks for joining us at CRAFT Challenge this week! Such a beauty of a card. Love your collage of elements. Thanks for joining us over at The Card Concept! This is simply beautiful. All of the layers are wonderful. I absolutely LOVE your sweet project, and I couldn't be happier than to have you stop by and share your artistic talents with us. I'm so grateful to have you play along in our challenges. Please stop by again soon, and I will look forward to visiting your blog again to see your next work of art. You are always most welcome to join the fun! 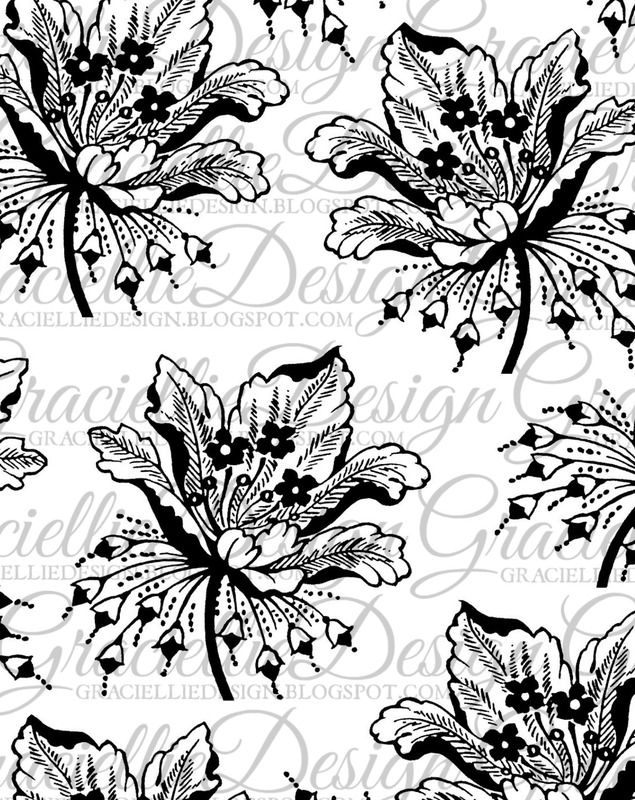 Oh Gracie, you've really made me rethink digital imagery entirely with this fabulous line and your exquisite samples! I don't have Photoshop, but wish I could edit the colors and layer like this with Paint program. This is fantastic! Love the green!!! Wow your card is beautiful. I love all the details. Soft colors and layout. Thanks for sharing over at Aud Sentiments. This is so beautiful! I love how you combined all the elements flawlessly. Thanks so much for joining us this week at CRAFT Challenge! Your card is a romantic beauty! Your combination of elements and their layering is amazing! Thanks for joining us at Poppystamps this month! A very pretty design and a gorgeous mix of my favourite vintage colours, beautiful. Thanks for joining in the challenge at Cheery Lynn Designs and good luck. A very beautiful and elegant card. Thanks for joining the Cheery Lynn Designs challenge. Best of luck to you. Gorgeous card. Love how you embellished it. Thanks for joining the In The Pink challenge this time. Hope to see you again. Gorgeous as always Gracie! Thanks for joining in the challege at Cheery Lynn Designs and good luck in the draw. WOW!!! What a stunning card. I love it. 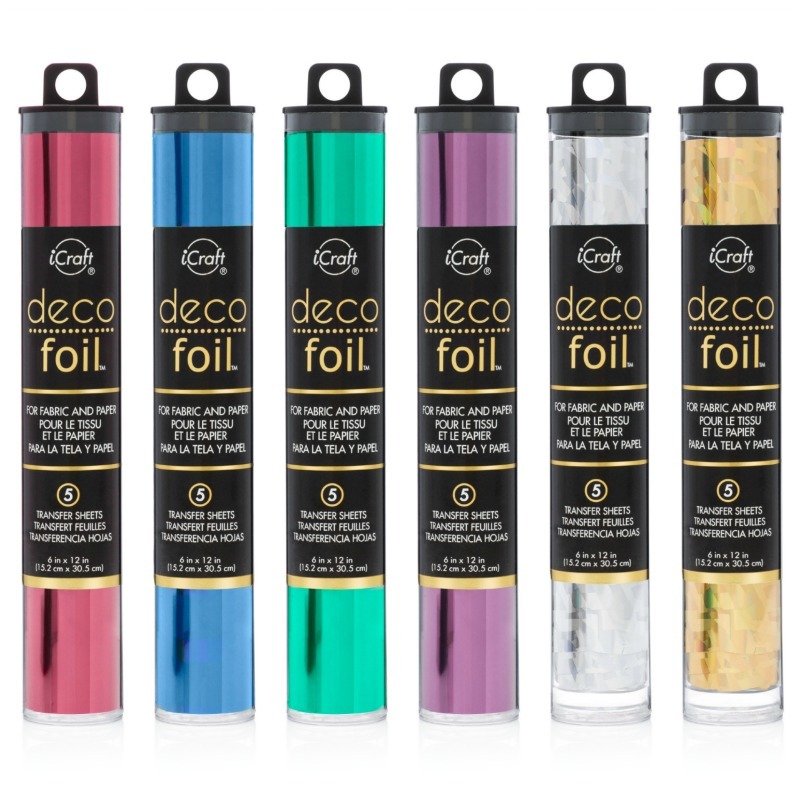 Thank you for joining us at Docerela Creations. Congrats on your win at Cheery Lynn. Love the added beads. Thanks for playing along with us at Poppystamps! Gorgeous card Gracie, love your beautiful floral arrangement. Gracie this is drop dead gorgeous as always! I love your stamps too – they are stunning! Didn't know you're also designing stamps; I noticed it some time ago when I visited Karen's blog. The flowers are beautiful and perfect as background images. 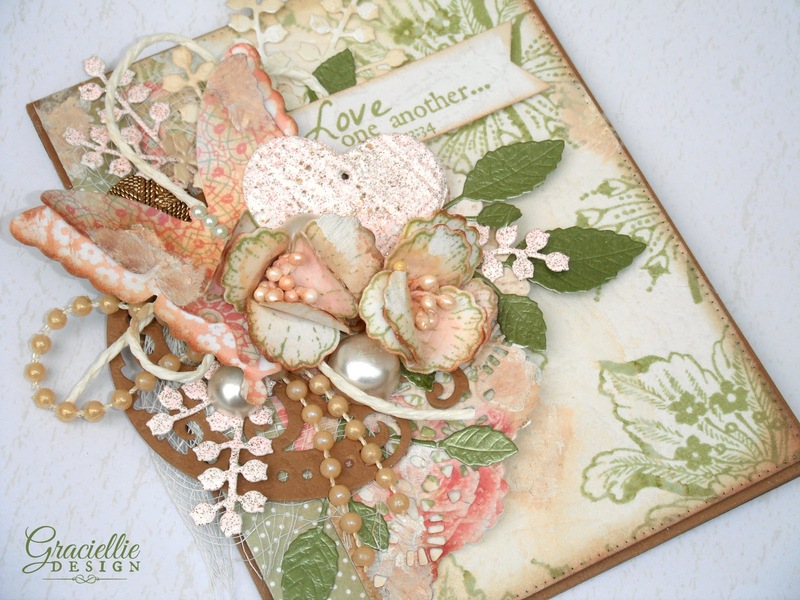 Beautiful card with lovely textures. Thanks so much for joining LLC for last month's challenge (and apologies for my late visit).